The physiological importance of MpUVR8 in UV-B resistance and translocation in a UV-B-dependent manner from the cytosol into the nucleus is characterized in Marchantia polymorpha. UV RESISTANCE LOCUS 8 (UVR8) is an ultraviolet-B (UV-B) light receptor functioning for UV-B sensing and tolerance in Arabidopsis thaliana and other species. 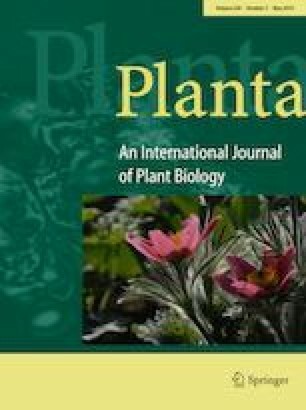 It is unclear whether UVR8 physiologically functions in UV-B-induced defense responses in Marchantia polymorpha, which belongs to the earliest diverging group of embryophyte lineages. Here, we demonstrate that UVR8 has a physiological function in UV-B tolerance and that there is a UVR8-dependent pathway involved. In addition, a UVR8-independent pathway is revealed. We examine the tissue-specific expression pattern of M. polymorpha UVR8 (MpUVR8), showing that it is highly expressed in the apical notch in thalli and gametangiophores, as well as in antheridial and archegonial heads. Furthermore, Mpuvr8KO plant transformants, in which the MpUVR8 locus was disrupted, were produced and analyzed to understand the physiological and molecular function of MpUVR8. Analysis using these plants indicates the important roles of MpUVR8 and MpUVR8-regulated genes, and of MpUVR8-independent pathways in UV-B tolerance. Subcellular localization of Citrine-fused MpUVR8 in M. polymorpha cells was also investigated. It was found to translocate from the cytosol into the nucleus in response to UV-B irradiation. Our findings indicate strong conservation of the physiological function of UVR8 and the molecular mechanisms for UVR8-dependent signal transduction through regulation of gene expression in embryophytes. The online version of this article ( https://doi.org/10.1007/s00425-019-03090-w) contains supplementary material, which is available to authorized users. We appreciate the helpful discussions with Jun Hidema, Mika Teranishi, Shohei Yamaoka, Tianhong Li and Shinya Takahashi. We also thank Tatsuya Takizawa, Yasumasa Uemura, Moemi Sekikawa, Keisuke Takeda, Masahiko Ebisawa, Miho Yamaoki, Syun Sugama, Toshiki Takeda, Seika Sadahisa, Koichiro Seto, Syota Takei, Takao Masuda, Masaki Ishida, and Syota Yokoi for technical support. This work was supported by JSPS KAKENHI Grant no. 25450158 to YK and 17K15145 to KI.